Mount Kilimanjaro Porters society : DISABILITY IS NOT INABILITY: MEET A MAN WITH NO RIGHT LEG AND RIGHT ARM MADE IT TO THE TOP OF MT. KILIMANJARO FOR A CAUSE! 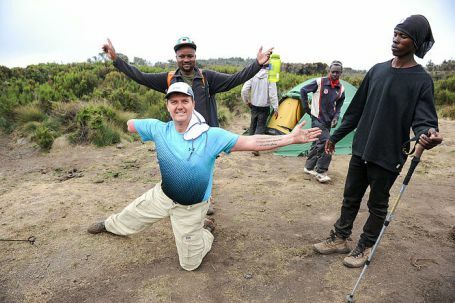 DISABILITY IS NOT INABILITY: MEET A MAN WITH NO RIGHT LEG AND RIGHT ARM MADE IT TO THE TOP OF MT. KILIMANJARO FOR A CAUSE! JOHN Cairns (50), a Canadian man who lost his right arm and right leg in a workplace accident in 1992, accompanied by Lucas Wise-man had 7-day Mt. 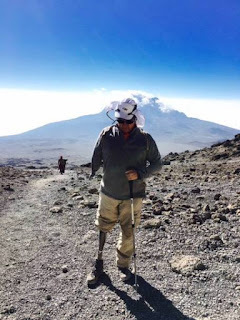 Kilimanjaro Charity Expedition through Rongai route to raise awareness of the needs and abilities of people with physical disabilities and funds for his Wheelchair of Hope Foundation. A man with only one left leg and one right hand from America is not a sailor. But still he has a right to shout: “Ahoy there!” because he managed to reach a top Mt. 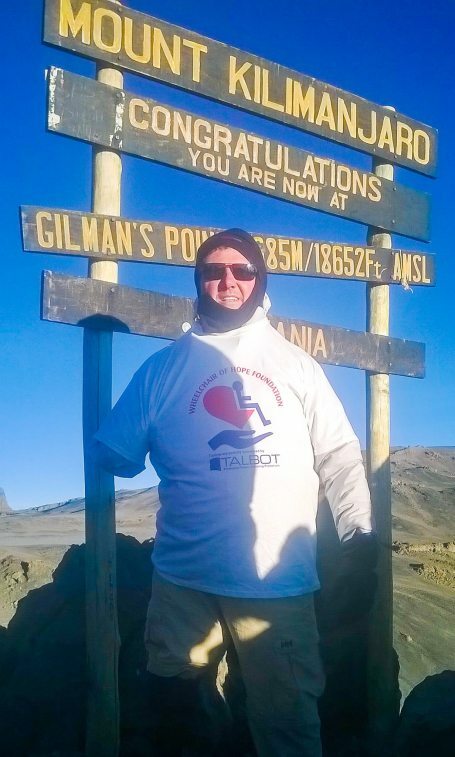 Kilimanjaro representing a cause for people with physical disabilities worldwide. As Cairns recalls it was around 6.35 a.m. on August 7, 2016 during their summiting to the ‘Roof of Africa’ after a breath taking 2 and half hour slow walk from Hans Meyer cave that he managed to reach Gilman’s point, 5,681 meters, above sea level. but the actual climb is a long episode that ones need to grow old first to forget,” Mr. Cairns noted in an exclusive interviews with this paper with tears of joy! “I do like the challenge that’s why I come to scale Mt. Kilimanjaro though I lost my right leg and hand and I’m very much appreciate myself that I made it to the Gilman’s Peak with the ‘great assistance’ from Edwin Kilawe, a Tour Guide with ZARA Tanzania Adventures..” he explained. According to Mr. Cairns, he dreamed to scale Mt. Kilimanjaro for a long time to prove to the World that ‘Anything is Possible if you like’ and disabled can do if assisted. “When back to Canada I will tout for all people to come to Tanzania and enjoy agony, joy and pride of climbing Mt. Kilimanjaro, and I thank God that I made it to high peak, much salutes goes to ZARA mountain guides, Edwin Kilawe and Joseph Meela and their team for their good assistance who was very patient and kind to me. They assisted me very much to fulfill my dream, and next year I will come to scale gain the highest Peak of Africa, Mt. 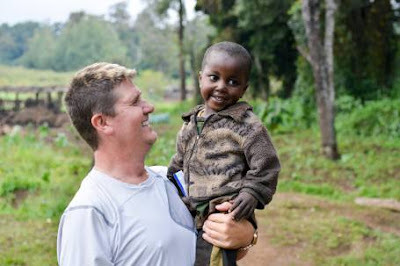 Kilimanjaro to Uhuru peak…” Mr. Cairns further explained in tears of joy. Commenting on why he decided to ‘take Mt. Kilimanjaro challenge’ Cairns explained that, he has decided to climb Mt. Kilimanjaro which is also famously known as ‘The Roof of Africa’ with also the aim of delivering mobility into the lives of children, teens and adults, within the community who otherwise would have limited resources to acquire a wheelchair on their own in Canada and in Tanzania through the charity Kilimanjaro climbing organized by the ZARA Tanzania Adventures for the cause. According to him, his mission through his charity organization called Wheelchair of Hope Foundation is also transforming lives through providing dignity of mobility, hope and opportunity through freedom of independence. 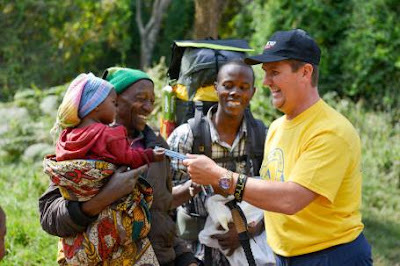 “Through the generosity and support of both local and international sponsors, Wheelchair of Hope Foundation is able to deliver hope, independence, and enable human and social upward mobility…” Cairns explained. On his way to the highest top of Mt. Kilimanjaro, Cairns provided free toothbrushes and toothpaste to the marginalized children in Rombo district, Kilimanjaro region donated by Family Dental Centre in Canada. Two years ago, Cairns founded the Wheelchair of Hope Foundation, which gives the gift of mobility by providing free devices such as wheelchairs, power chairs and scooters to those who need them in and around the Quinte region. The foundation’s mission is to equip people with the devices they need to live their lives to the fullest, he said. “When you think of everything that you do on a day-to-day basis, it all centers around mobility,” Cairns said adding that mobility devices positively impact the lives of those who receive them. We bring a higher degree of quality of life that they’re so deserving of.” Cairns said. For his part, a photo journalist form Canada, Lucas Wiseman who reached the highest peak of Mt. Kilimanjaro (5,895m ASL) explained that; “I had a spirit of climbing Mt. Kilimanjaro long time ago that’s why I succeed and made it to Uhuru Peak of Mt. Kilimanjaro (5,895 m ASL) under great assistance from professional mountain guides from ZARA Tours, and I’m now planning to climb other highest mountains of the World for charity as we did..” he explained cheerfully. According to him, scaling Mt. Kilimanjaro to the highest peak is way of fulfilling his dream of helping the needy people worldwide being the first young Tanzanian to scale and reach the highest peaks of the highest mountains in different continents of the world famously known as ‘Seven Summits’. As Wiseman recalls it was around 4:55 a.m. on August 7, 2016 after a breath taking 2 and half hour slow walk from Stella Point that he managed to reach Uhuru Peak, 5,895 meters, above sea level. She recollected that was the culmination of “our nine day Mt. Kilimanjaro climb” through the tough Rongai route that to him still seems like a dream. “Reaching Uhuru peak was a dream come true but the actual climb is a long episode that one’s need to grow old first to forget,” he noted. Do you ever run into any web browser compatibility issues? A couple of my blog visitors have complained about my website not working correctly in Explorer but looks great in Chrome. Do you have any ideas to help fix this issue?